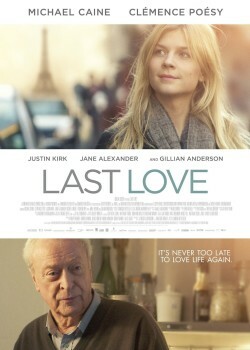 "Lovers of Paris and/or Michael Caine will rejoice!" The Columbia Review. On location in Paris, the city of love, this movie manages to portray a realistic chapter in the intersecting lives of the two main characters. On the one hand, a widower unable to accept life without the wife he still deeply loves. On the other hand, a young woman in search of … love? A father? A meaningful connection untainted by the usual sexual urges? At its core, this is a story of an unlikely friendship between the old man and the young woman, with the added complexities of his adult children and their issues. As imperfect as modern families are, this one deals with the ‘normal’ issues of losing a lifelong beloved partner, as well as of losing a beloved parent before childhood conflicts have been resolved—or at least discussed in the open. This movie does justice to its human drama, especially with Michael Caine playing the lead role–except that you quickly forget it’s Michael Caine, who takes on the persona of the character in a humble, unassuming and all too human manner. Clémence Poésy, in the lead female role, is sweet and deep at the same time, completely believable as a dance teacher, who is lonely despite her good looks and the superficial male interest she easily draws. There is much to love and to identify with in “Last Love.” Some plot developments might discomfort the viewer as wholly unlikely, particularly because the movie as a whole feels so much like real life. Yet overall the story and the setting make the movie more than worthwhile. Whatever one’s family circumstances are, this movie touches on relevant emotional issues and, consequently, is heartfelt and thought provoking. In summary, it’s a good movie—or even a must-see for Michael Caine fans.